In the first part of this article, we examined Far Cry 5 and its outcry against the governing of our beliefs, and the governing of our society based entirely upon the belief of one dogmatic belief with a despotic leader in the guise of a cult. This time around we're going to tackle science and morality explored in Michael Crichton's incredible book Jurassic Park, its expansion into one of the most successful Hollywood franchises and its most recent chapter to arrive on the big screen as Jurassic World: Fallen Kingdom and as the incredible upcoming theme park video game Jurassic World: Evolution. Something that I will say is that Michael Crichton is one of my favourite authors, certainly having a profound impact upon my own life and love of both reading and writing. I've read the vast majority of his books excluding perhaps two and enjoyed the many adaptions to film of his books (including one of which he himself directed being The Great Train Robbery). His writing even prompted me to take mathematics courses on Vector Calculus and Complex Numbers in the early 1990s. Michael Crichton first released the novel Jurassic Park in 1990 receiving favourable reviews and sparking a resurgence of the public's interest in dinosaurs by introducing the idea that they could be brought back from extinction through genetic technology. Kathleen Kennedy and Steven Spielberg then jointly brought the book to life in their screen adaption of the novel of the same name, though with key differences from the novel from which it was born. One of the biggest close calls in film history has to be due to the fact that at the time of pre-production of the film, the writers and producers were planning to superimpose the character of Doctor Ian Malcom onto the character of Doctor Alan Grant, hence erasing Ian Malcolm from the film version of Jurassic Park entirely. 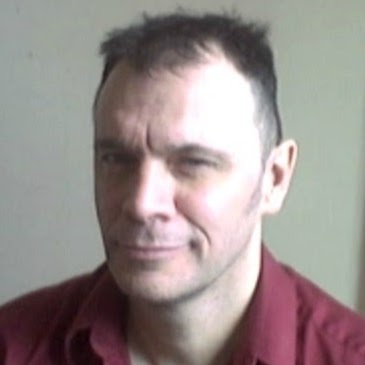 Doctor Ian Malcom is an enigmatic Mathematician specializing in the application of Chaos Theory and Fractal Geometry to the field of computer simulations in order to predict the future via probability and risk analysis. Good thing that this is writing because I'd have suffocated having to speak the previous line. Caution: Spoilers ahead if you if you haven't read the novel or seen the film Jurassic Park. Proceed to the green text below which indicates you've passed the spoilers. You have been warned. What changed the fate for the film character's inclusion was actor Jeff Goldblum's magnetic performance and portrayal of the character. Having spoken to Spielberg about the role and having read for the role to Spielberg and Kennedy, Goldblum's performance saved the character from eradication of the character in the film version and even death with Michael Crichton's own book and his work on the script. 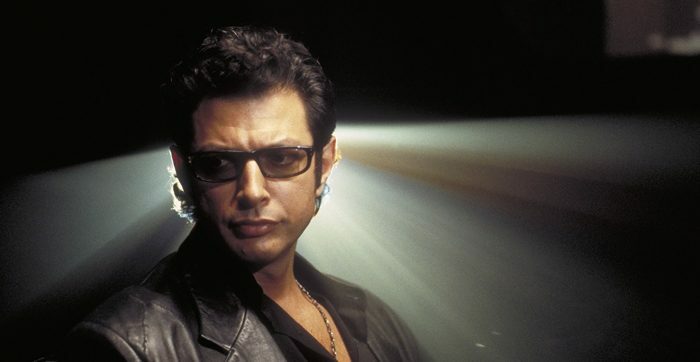 Doctor Ian Malcolm would not have lived on in both the world of the novel and the film franchise if not for Goldblum's charm and charisma leading to his starring role as Doctor Ian Malcolm in The Lost World, the film's sequel. Safety: If you've been dodging spoilers this far, you've finally reached the point of safety which begins in the paragraph below. With the upcoming release of the sequel to 2015's Jurassic World, Jurassic World: Fallen Kingdom has been timed the release of the kind of Jurassic Park video game that all gamers have wanted from the creation of the franchise though we did not know that such a genre of video games would eventually exist. This game of course is Jurassic World: Evolution. The video game allows players to create and manage their very own dinosaur theme park in the same settings as the Jurassic Park and Jurassic World movie and novel franchise. Appropriately the video game was developed by Frontier Developments, the same developers who brought you the hit video games Elite: Dangerous, Planet Coaster and Roller Coaster Tycoon 3 (the last two being perhaps some of the best theme park management games available). Roller Coaster Tycoon 3 is based upon Chris Sawyer's Roller Coaster Tycoon franchise while Frontier Developments is the brain child of Astrophyicist/Programmer David Braben, who leads this team of talented developers and innovators. Doctor Ian Malcolm: "Life overcomes." Jurassic World: Evolution's fundamental driving force motivating players to play, hits the plot device of the entire Jurassic Park franchise dead on the nose with the question: can business, science and technology tame the power of life and nature for the purposes of entertainment and exploitation? After all, in the words of Doctor Ian Malcolm himself, life overcomes. It is that very force the player of the game contends with to create and manage a safe and profitable business that draws an ever growing audience to the park they create. How can one tame the most powerful force of which we're aware that even resulted in us, and contain that force for exploitation? To further make this whole situation all the more interesting, the game divides that challenge into three key divisions through which the park itself operates: Business, Science and Technology and Security. The goals of each of these divisions often contrast and contradict the goals of the other two, making the balancing act the player much achieve even that much more challenging. All this while managing the living conditions for dinosaurs that ruled the Earth for more than three hundred million years but that's what this game is all about. Dinosaurs. All while the player is as much in awe of that fact as is the audience as the dinosaurs have been recreated meticulously with incredible animation and audio fidelity in mind. Playing this game in the dark might make you feel like you're lost on one of the islands in the region of Isla Nublar itself. There are a wide variety of dinosaurs to bring back from extinction to populate your park. Some more dangerous than others. Some more entertaining than others. Some more clever than others. Some more hungry for a taste of the audience than others. Further, with the science and technology division many advances in developing entertaining species (as explored in the film Jurassic World) are possible though at the cost of security and introducing many unknowns into the game play itself. Taming nature in this game is not all about the dinosaurs though, as they are not the only chaotic element that works against the order of the containment of life and nature. The weather and natural disasters themselves can wreak havoc on the innumerable systems you've developed to keep the dinosaurs contained and from running awry amongst the audience. There are many forces at work that could undermine the most capable of enterprises and the lure of stability. You'd best heed Doctor Malcolm's advice as he is also present in the game voiced by Jeff Goldblum, who heralds a cast of great voice talent for the game. The game is due for release in June 2018 which is thankfully a short time away and will be available for PC, PlayStation 4, and Xbox One. Until then, the next time that you look at the world around yourself and every living creature, consider what kind of an immense journey through time it took to bring us each and every magnificent creature that inhabits this planet. We can only hope that life overcomes the hurdles that many species on this planet face. Perhaps with great stories, movies and video games that follow the legacy of Michael Crichton, enough of future generations will consider how we can foster and care for rather than contain life itself.